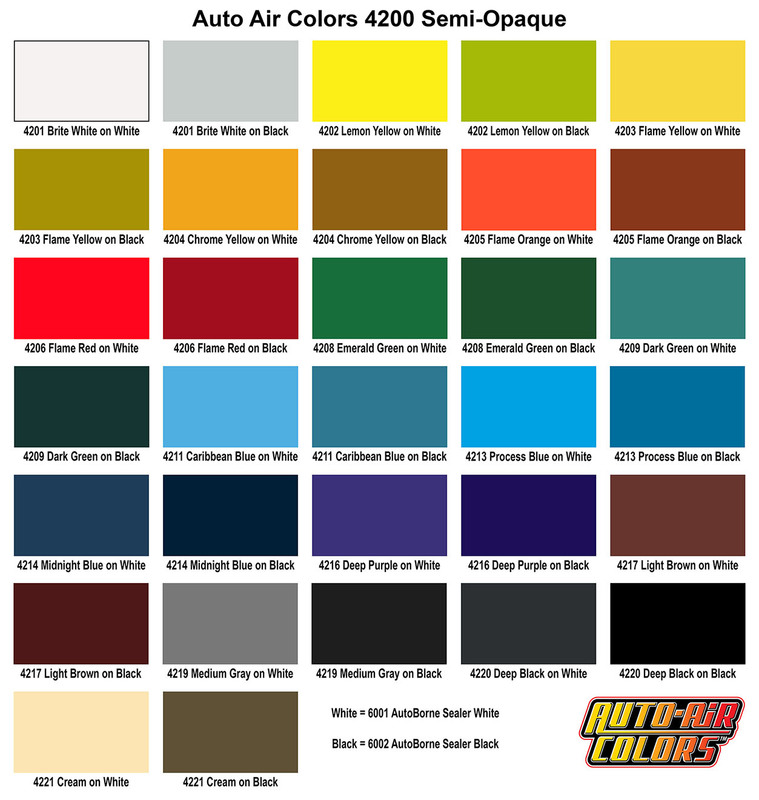 Transparent and Semi-Opaque Colors are the standard airbrush & graphics colors in the Auto-Air Colors line. Transparent Colors work with any airbrush size including 0.18mm tips operated at low psi settings after reducing in generous amounts. Semi-Opaque Colors are similar to Transparent Colors with the addition of a refined clay for improved coverage. Semi – Opaque Colors best work with larger tip-sized airbrushes and spray-guns. Transparent Colors are suitable for spraying with little reduction for use with spray-guns and large tip-sized airbrushes. For use with smaller tip-sized airbrushes, reduce 25% per volume or more to achieve fine-line performance. Reduction ratios may vary per color to achieve best atomization. 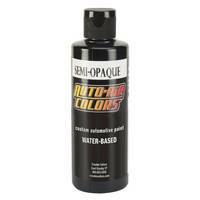 Semi-Opaque Colors are designed for coverage through larger tip-sized airbrushes and spray-guns. 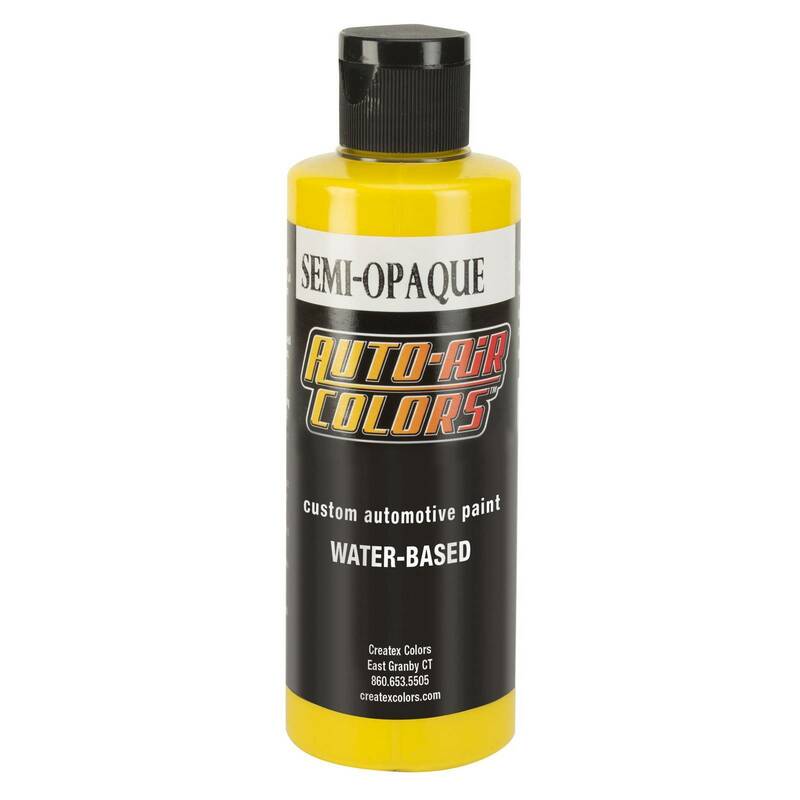 They are not designed for fine-lined spray performance through smaller tip-sizes as reduction will not lessen the particle size of the clay used for opacity. 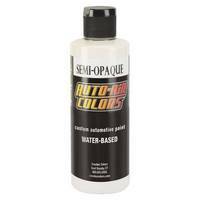 Refer to Hard Surface Application Guide for further application information.